Bear with me here, because this requires a few cognitive leaps. 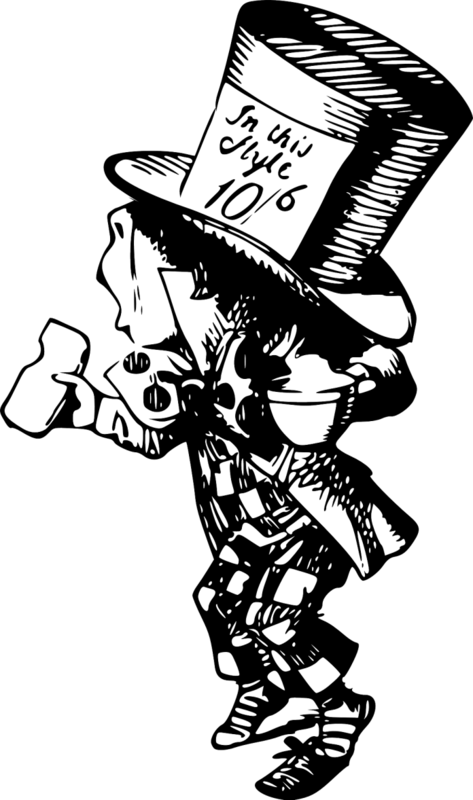 Today, October 6, is Mad Hatter Day because… in John Tenniel’s original illustrations for Lewis Carroll’s Alice’s Adventures in Wonderland (and most renditions since), the Mad Hatter’s hat bears a sign saying “In This Style 10/6.” The sign is meant to convey that this style of hat cost 10 shillings and sixpence, and is not a reference to a date. Moreover, if it had been a date, it would have represented June 10, since that’s the order in which dates are written in the U.K. However, Mad Hatter Day is an American invention, and I’m OK with it being several steps removed from sensible, inasmuch as the Mad Hatter himself was, too!